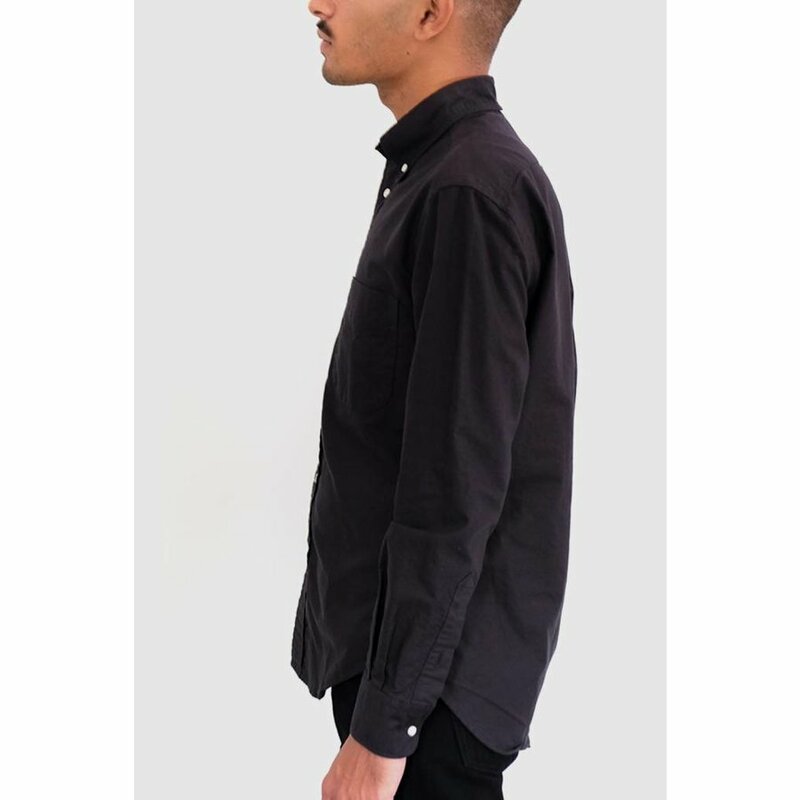 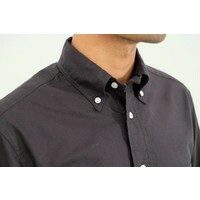 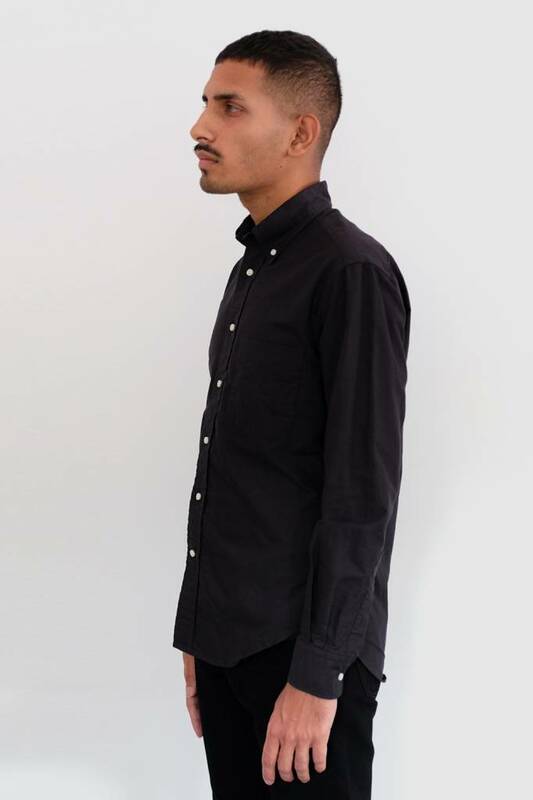 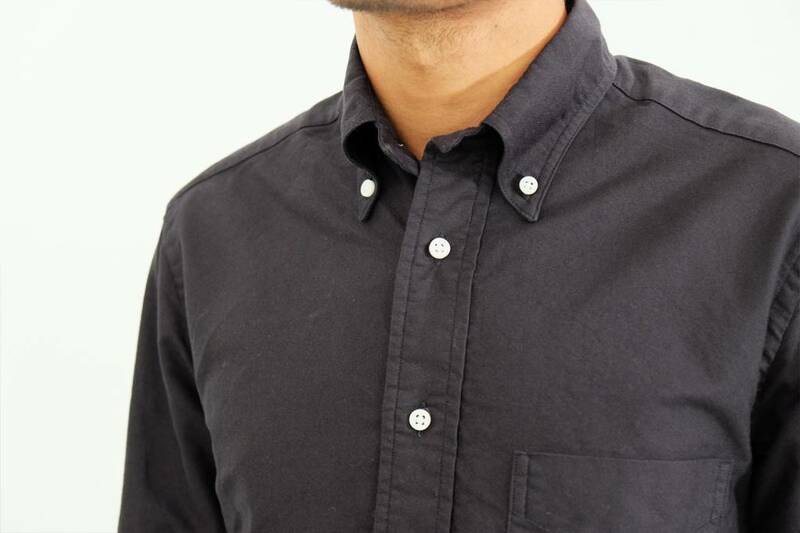 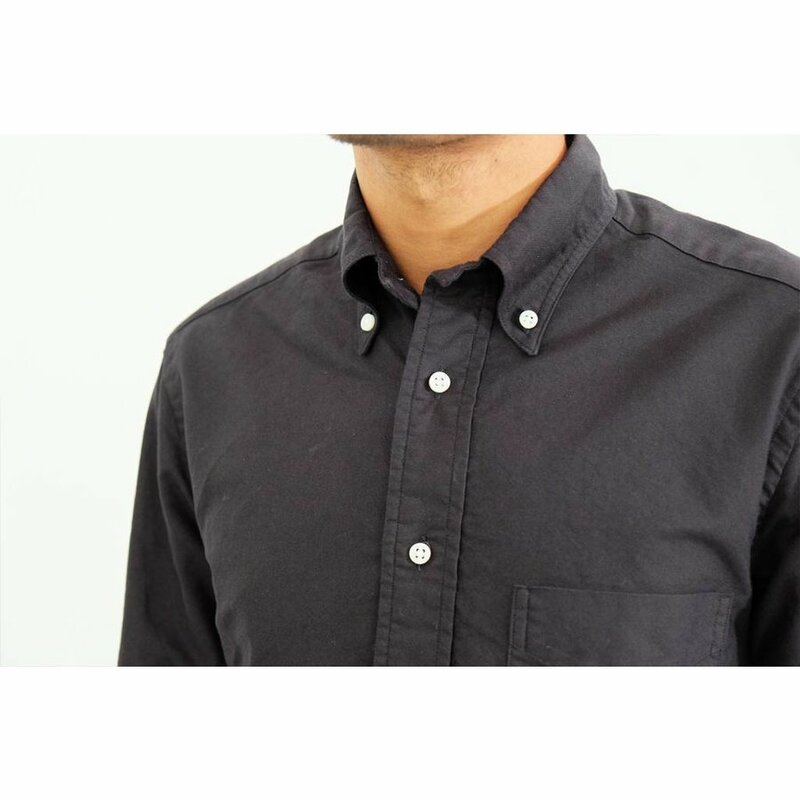 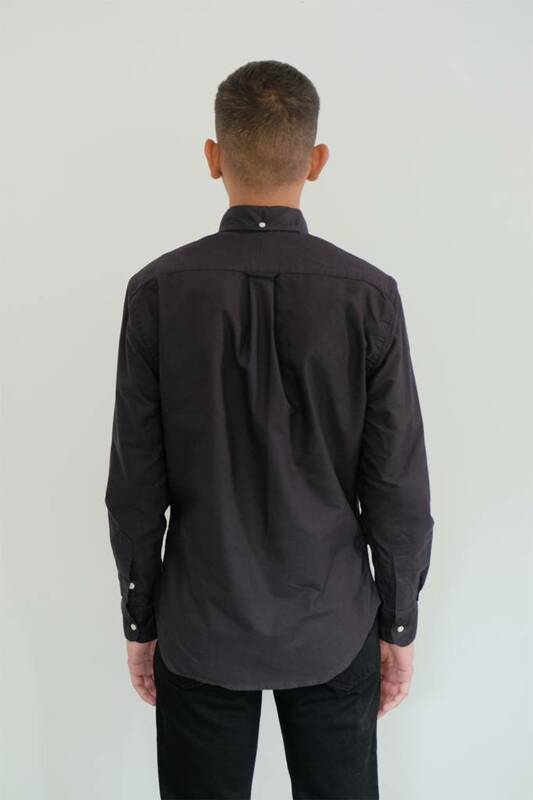 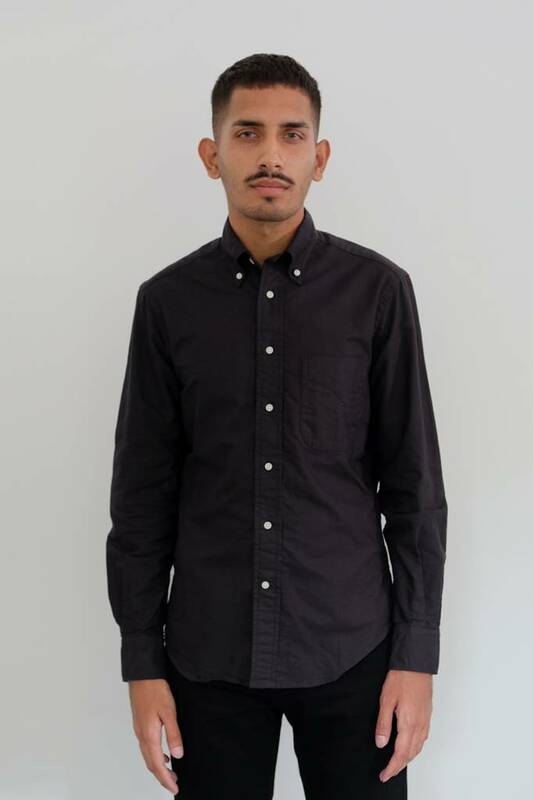 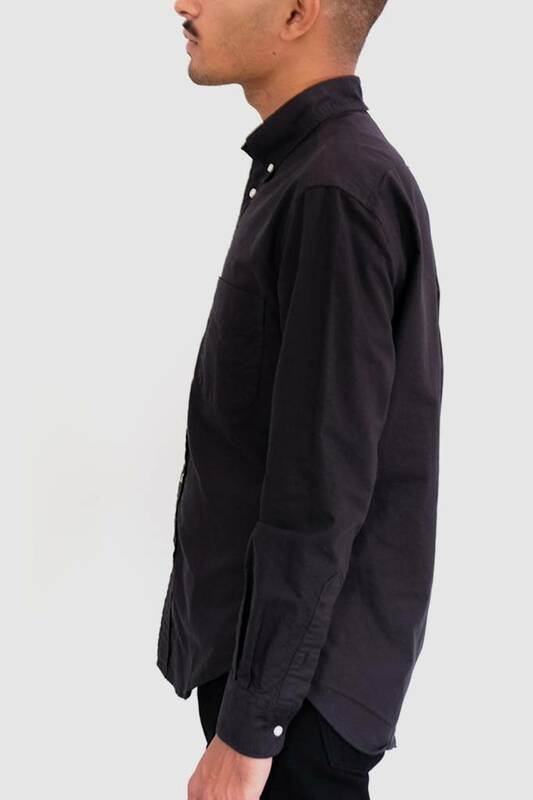 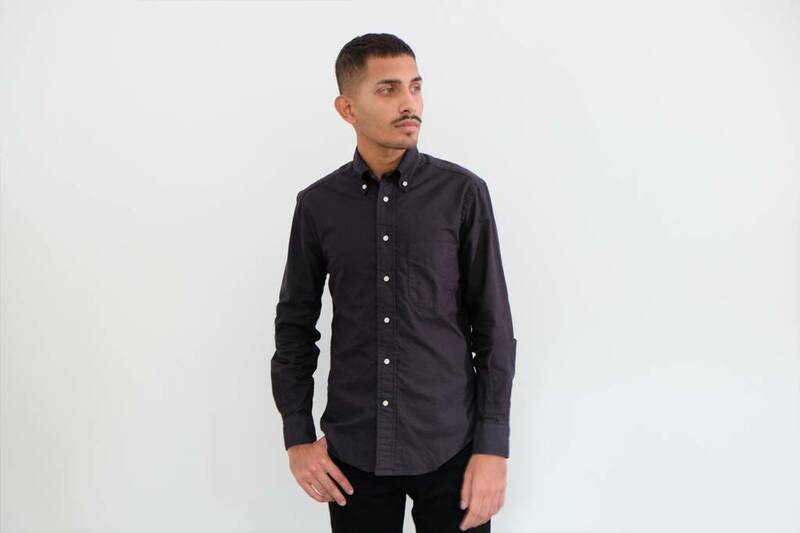 Black oxford cloth button down shirt with contrasting white buttons. 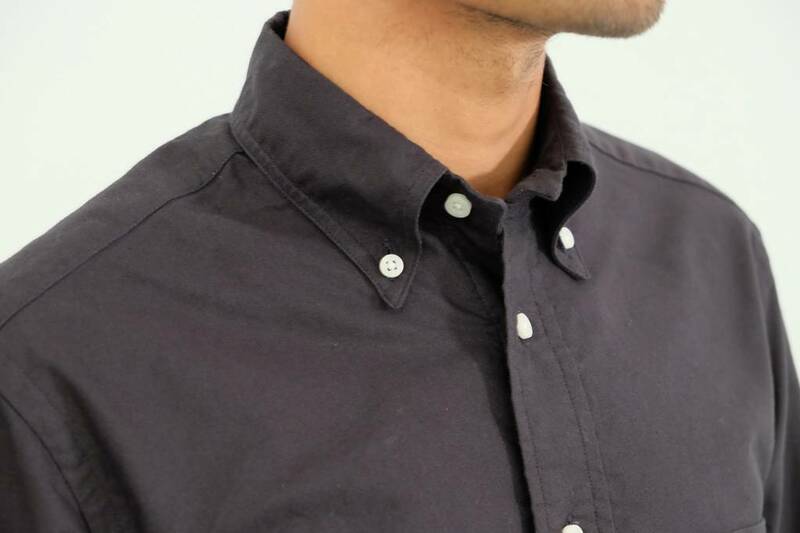 This rugged staple is made in Pennsylvania by the masters of shirting. 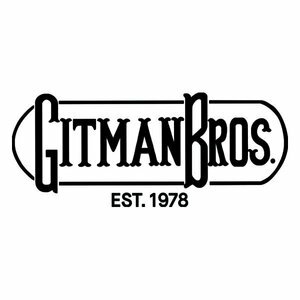 It's classic fabric and signature Gitman cut mean it's always, comfortably, in style. 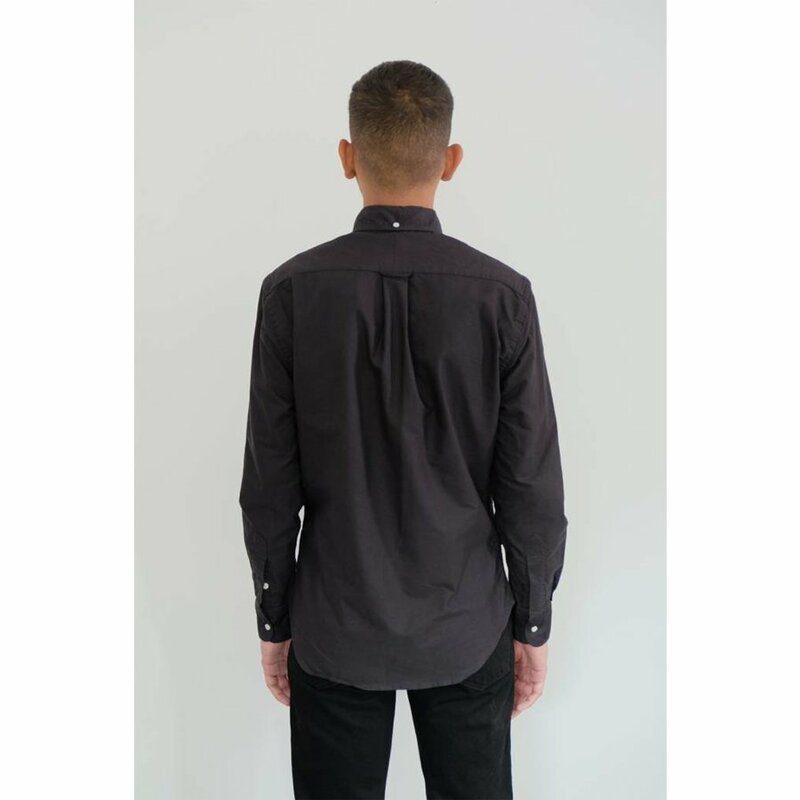 Fits true at the top of the shoulder, with a slightly high cut underarm and traditional fit through the chest, tapering gradually through the body to a regular shirting hem.